Comfortable, cozy and with a large trunk, with the 2.0 CDTI 209 hp and the 4×4 traction the 2018 Vauxhall Insignia Country Tourer If it is good even on the winter roads with little grip. In acceleration, however, the engine is felt. The Vauxhall Insignia Country Tourer is the raised version (of 2.5 cm) of the family insignia Sports Tourer: able to face an off-road light, it is proposed as a machine suitable also for excursions in the countryside or (especially in the AWD variant, with the traction On snow-covered mountain roads. Outside stands out for the black plastic profiles in the lower part of the bodywork and along the wheel, for the underbody plates in grey color in front and back and for the double chromed frames of the exhaust pipes. Arriving in dealerships these days, at the same setting costs 2,000 euros more than the Sports Tourer. At the 2.0 turbo-diesel 170 hp (front-wheel drive with an automatic gearbox, or 4×4 only with the manual) we add the flagship version (the one we drove), the 2.0 Biturbo from 209 hp, with an integral drive and an automatic 8-speed gearbox. 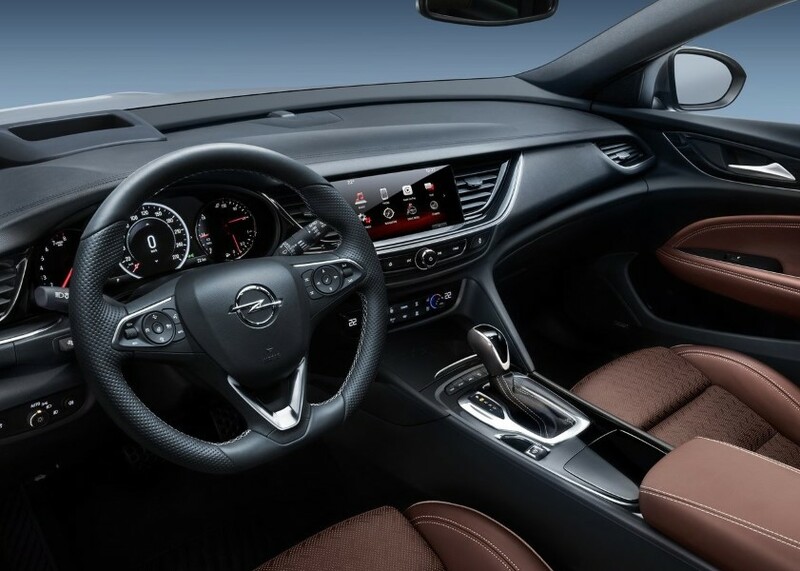 As in the other insignia, the cockpit of the 2018 Vauxhall Insignia Country Tourer features manicured finishes and materials that do not disappoint (pleasing to the touch the plastic of the top of the plank), with the exception of some rigid coatings on the door panels and the central tunnel; Neat and rational style and main controls in the right place. Comfortable the cockpit (provided with AGR certification, a German body that evaluates and certifies the ergonomics of the seats and their ability to reduce back pain), which offers several precise adjustments, including that of the length of the seat. There is considerable space available for passengers, one of the advantages of this machine: in front there is ample ease in all directions; Behind are not uncomfortable, in width, even three adults of size “large” (the sofa is wide and the ceiling also allows those who are tall 190 cm not to have to lower the head). plenty of legroom; As often happens, however, behind, the central place is penalized by the footprints of the tunnel of the transmission. As standard, for all versions, the OnStar system, which in the event of an accident of a certain entity allows getting in touch (by pressing the red button, or automatically) with an operating station enabled to send the rescue. The blue button, however, is used to ask for information about restaurants or locations, as well as to get a hotel room or to send the best route on the navigator. The IntelliLink multimedia system, which is controlled by the 8 “touchscreen, is intuitive and allows you to easily connect your smartphones to the Apple CarPlay and Android Auto (standard) protocols. The trunk is large: the capacity of the 2018 Vauxhall Insignia Country Tourer (560/1665 liters) has grown compared to that, from 540/1530 liters, of the old family (the new Insignia Wagon is 9 cm longer than the previous one and has a greater wheelbase, 283 cm versus 274). Wide and regular, and with a high loading threshold of 65 cm that facilitates the storage of the luggage, the trunk is suitable for loading long and cumbersome objects (lowering the sofa is formed a flat plane long 220 cm). The electric tailgate can be opened and closed without hands, passing the foot under the bumper, thanks to a sensor: the luminous profile of the car projected on the ground shows the area where to put the foot. Practice the possibility (standard in the Country tourer, optional in the Sports tourer) to recline, by pressing a button in the side walls of the trunk, the backrest of the sofa, divided into three parts (40/20/40). 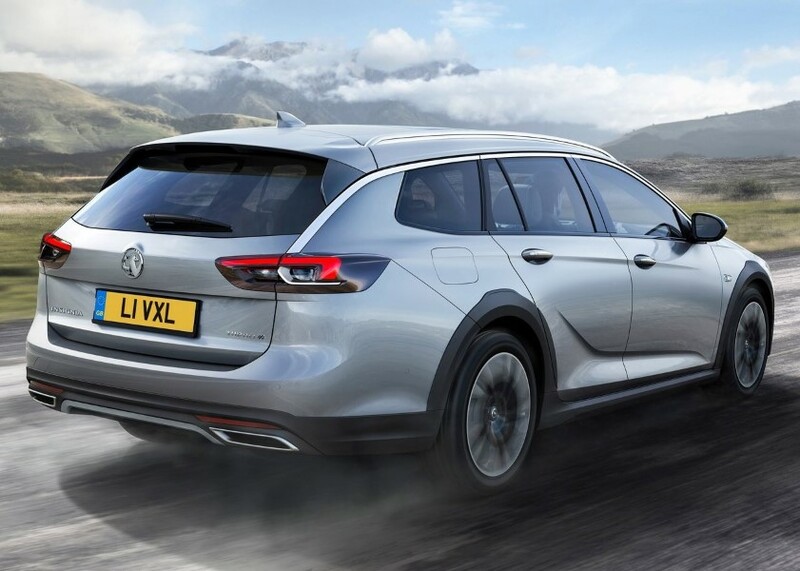 The 2.0 CDTI diesel fuel 209 Horsepower of the 2018 Vauxhall Insignia Country Tourer offers regular delivery even to the lower revs and a good thrust up to 4000 rpm (seems realistic the time, of 8.2 seconds, which the House declares for the “0-100”); Cold and in full acceleration, however, it makes you feel a little too much his voice. On the roads full of curves of the Swiss canton of Neuchatel, where the test took place, the Insignia Country Tourer proved to be really fun: maneuverable, despite the non-indifferent dimensions and the non-modest weight (more than 1700 kg), the car convinces Also in the Quick guide thanks to the precise steering and the FlexRide system (standard) with electronic control, which varies over three levels (standards, tours or sports) the response of the suspension, steering and engine. By setting the Sports mode, the car is rather “flat” and neutral and allows for precise and balanced curves, with considerable stability in the fast bends. Always secure the brakes. The integral drive (an electronically controlled clutch will share the torque on each of the four wheels) makes sure the drive, even on roads with little grip. But the car gives the best of itself in the long road trips (the limits in force in Switzerland have prevented us from trying to get closer to the 228 km/h maximum stated tip): High running comfort, effective soundproofing at constant speed and an excellent Suspension response, which isolate well from depressions and asphalt joints. Finally, the consumption: At the end of the test we totaled (according to the computer on board) an average of 12.1 km/L, a good result (close to 13.9 km/L homologated) for a machine of this type. 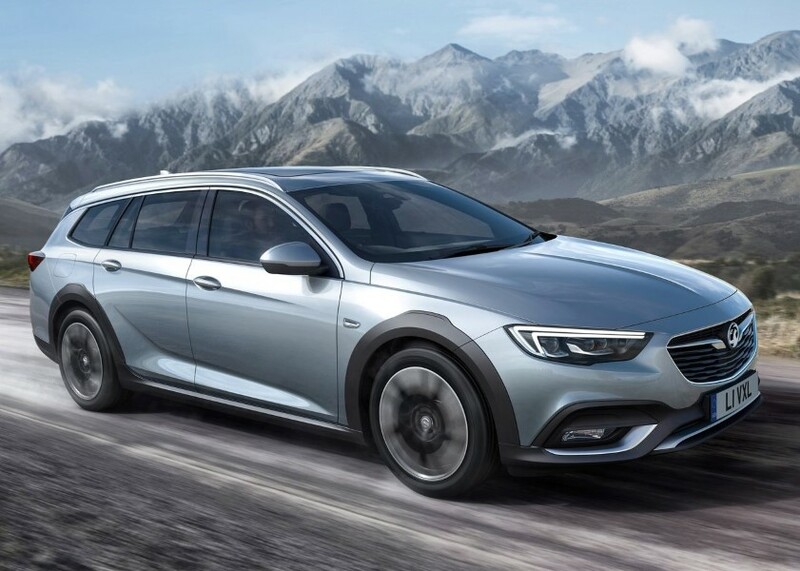 The Vauxhall Insignia Country Tourer 2.0 CDTI by 209 Horsepower is offered in one set-up, with an automatic 8-speed gearbox (sweet, but not very fast) controlled by steering wheel levers and 4×4 traction. The equipment, that is equivalent to that of the rich innovation, is complete: as standard there are the warning of inadvertent exit from the lane, the automatic braking, the “climate” zone, the camera that recognizes the traffic signs, the navigator, the assistance to OnStar distance, the FlexRide system, the front and rear distance sensors and the camera (indispensable, behind you, see little). The technological LED array lights (which vary the light beam according to traffic conditions and increase driving safety) cost 1,450 euros. Pity, however, that you pay apart accessories such as DAB radio (200 euros) and the cruise Control Adaptive (750). The 2.0 CDTI 209 Hp will arrive in dealerships at the end of 2017, at 43,050 Euro; The 2.0 from 170 hp is already on sale, at 39,550 with front-wheel drive and automatic gearbox, and at 40,050 Euro with a manual gearbox and 4×4 traction. Cockpit. Large, well done and practical, thanks to numerous storage spaces and the double USB socket behind. Trunk. It grew in size and is easy to load. Guide. Despite its imposing dimensions, this wagon is agile and pleasant to drive, thanks to its precise steering and effective suspension. supplied. Standard accessories on less expensive cars, such as DAB Digital radio and adaptive cruise control, are subject to charges. acceleration noise. The engine is, in general, little noisy and well insulated: but, especially in cold, when it accelerates to the bottom it makes you feel a bit too much. rear visibility. In maneuver, it is difficult to assess the dimensions of the bodywork.